Pawan Kalyan Supports Youth for Silent Protest on AP Special Status. Jana Sena Chief posted a series of tweets on Jallikattu fight by the Tamilians who also stood back on the issue which central government was denying to accept and make it legal. 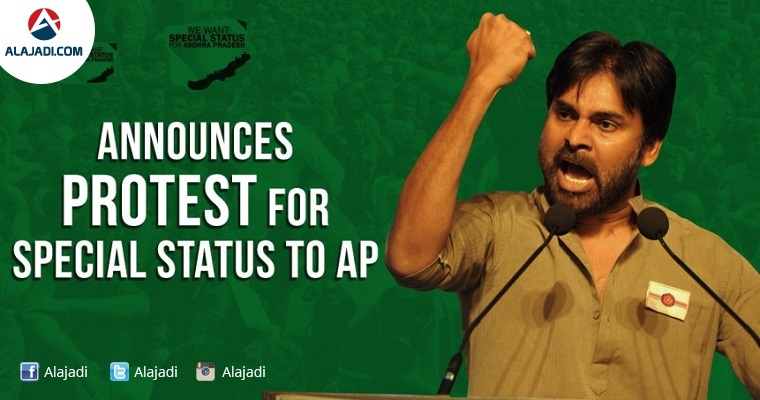 Quoting about the agitation of the Tamils for Jallikattu and their victory, the Power Star called the AP people to fight for AP Special Status. 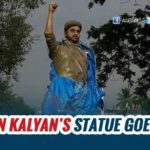 Pawan Kalyan, fans and people of AP have taken up Pawan Kalyan’s call and are all set to make silent protests at RK Beach of Vizag on 26th of this month. Moreover, netigens are also trending the hashtags #APDemandsSpecialStatus and #APSelfRespectMoment in social media to support the moment even if they can’t get to the venue on that day. Flyers and Advertisements have been set out inviting people for the Silent protest for AP Special status on 26th of January. The invitation states, Silent protest is better than violence and AP demands Special status. 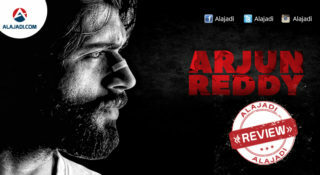 The protest has now got Jana Sena’s support too. 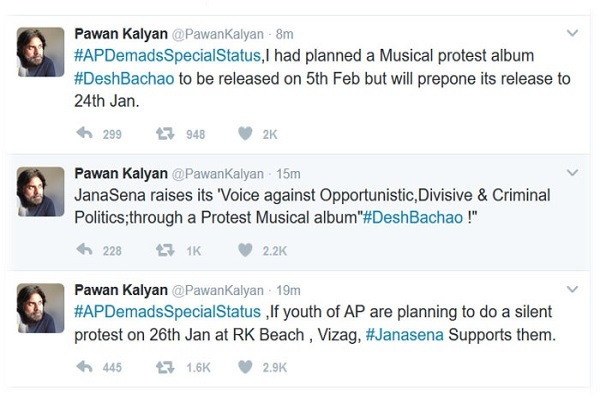 Pawan Kalyan tweeted that Jana Sena party raises its voice against the opportunistic, divisive and criminal politics through the musical Album DeshBachao. 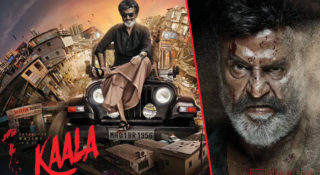 As soon as Pawan tweeted, in no time, it became a rage and the issue started trending nation wide.After the Center cleared Tamil Nadu state government’s ordinance to conduct its cultural bull taming sport Jallikattu that was banned by Supreme Court, the demand for Special Status to AP gained significance. They wish to make it as another Merina Beach’s Jallikattu protests. Incidentally, this situation reminds us the climax scene of Cameraman Gangatho Rambabu, wherein a large number of people are moved by Pawan Kalyan’s speech and form a huge turnout in Hyderabad. Since the protests for AP special status have taken a new turn, the state and central governments should ensure the needful is done to pacify the agitators. Earlier Pawan Kalyan on September 9 at his Kakinada meeting demanded central government for special status to Andhra Pradesh. Pawan has addressed a public meeting in the temple town where he took the BJP and the TDP to the cleaners for not granting special status, as promised, to Andhra Pradesh.